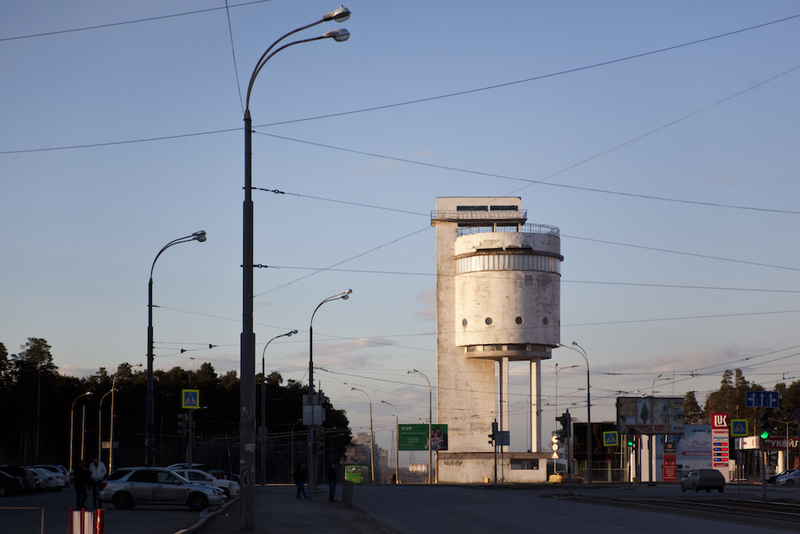 When it comes to architectural heritage, Russia has a reputation as an unsentimental place. Almost all of its major cities have experienced several construction booms in the last century that have fundamentally restructured the urban environment each time. This can prove problematic for those who look to the past for inspiration. While outsiders and locals alike are still drawn to the avant-garde culture of the early revolutionary period, more often that not the material artefacts of this culture have been neglected, modified or straight destroyed by nearly a century of change. Conservationists must reckon with how best to promote the past to a modern audience. 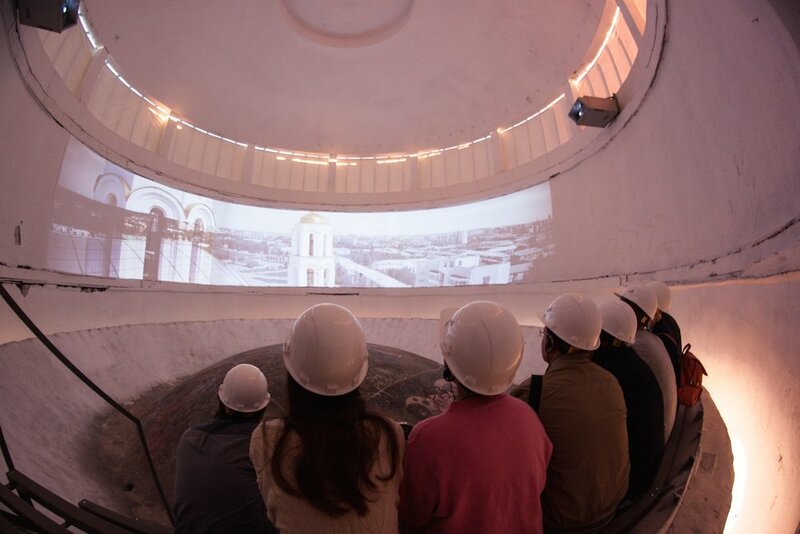 Yekaterinburg, the easternmost World Cup host city, is a fascinating case study in how radical heritage collides with the pressures of contemporary politicking and branding, and how with time artistic schools can be reimagined in terms that would have seemed quite alien to their creators. A large but compact industrial metropolis, Yekaterinburg has long been known as the “capital of the Urals”, the mountains in whose foothills it nestles. 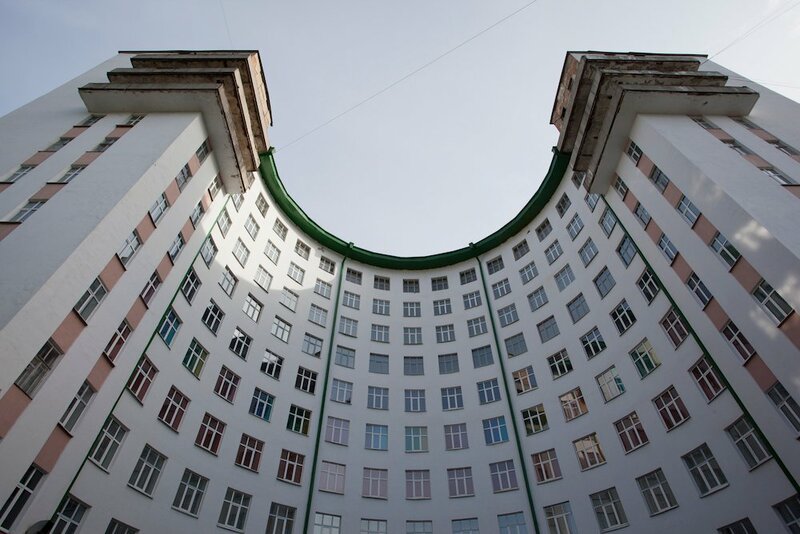 In recent years, it has earned another, tentative moniker: the “capital of Constructivism”, after its unparalleled collection of avant-garde architecture from the 1920s and 30s. Spanning art, design, film and architecture, Constructivism was one of the relative success stories amongst the myriad avant-garde movements that blossomed in revolutionary Russia. Not because its utopian ideals were properly realised — like most other experimental culture, Constructivism fell foul of shifting political exigencies as well as chronic material shortages; it’s fitting that the most iconic Constructivist building is Vladimir Tatlin’s Monument to the Third International, a colossal structure planned for Petrograd, the plans for which thrilled even as they proved impossible to realise. Constructivism’s success was instead felt in the immense influence it wielded over other modern schools in Europe and beyond, from Bauhaus to New York. 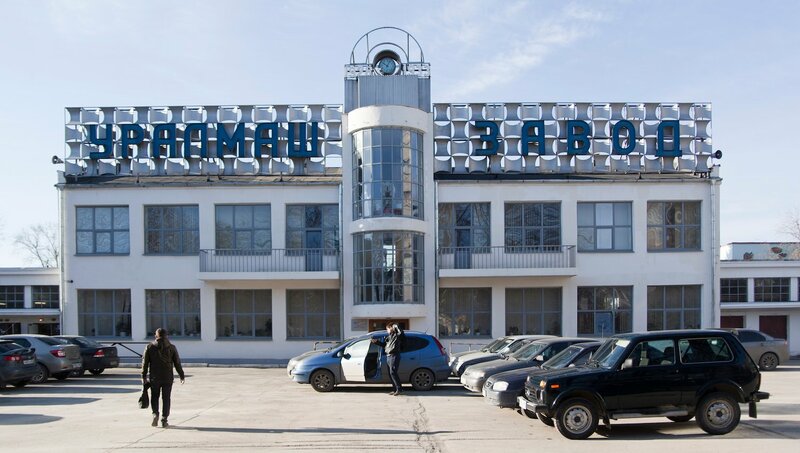 Emphasising the social function of aesthetic work and the elision of artistic and industrial practices, and characterised by angular, clear design, Constructivism was one of the most striking cultural counterparts to the political and social Soviet revolution. Yekaterinburg, then named Sverdlovsk after the Bolshevik Yakov Sverdlov, had been an industrial centre since the 19th century, but the rapid heavy industrialisation of Stalin’s First Five-Year Plan (1928-32) made it a landmark city in aesthetic as well as production terms. The Urals, rich in mineral and metal deposits, were the site of some of the most intensive construction under Stalin, with factory towns springing up along the range. 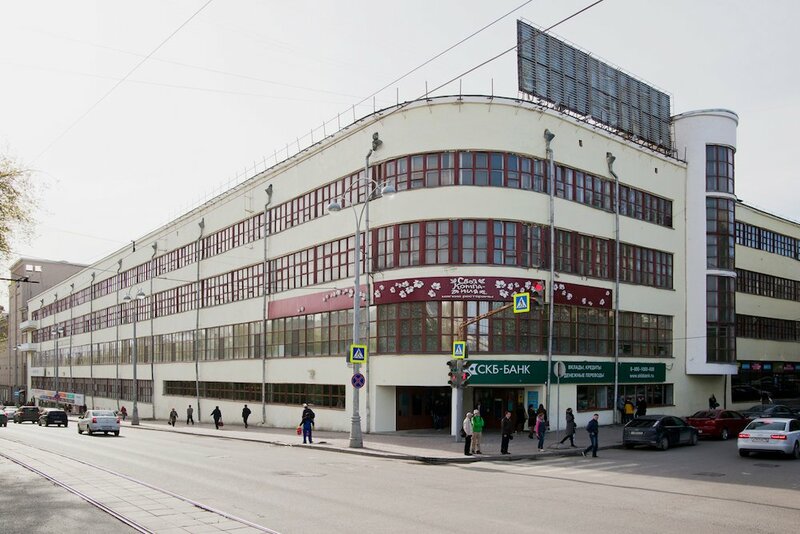 In this period, the so-called “Big Sverdlovsk” Plan transformed the city centre into a collection of modernist residential and office buildings unrivalled in terms of quantity and preservation; the roughly contemporaneous construction of the Uralmash industrial district to the north of the centre consolidated Sverdlovsk’s position as a living showcase of revolutionary architecture. It was, however, a showcase that remained unappreciated for decades. Sverdlovsk was closed to foreigners after the Second World War because of its strategic importance. Far from Moscow, it developed what locals remembers as an independent, diffident spirit in the late Soviet period, untroubled by domestic attention or curious tourists. 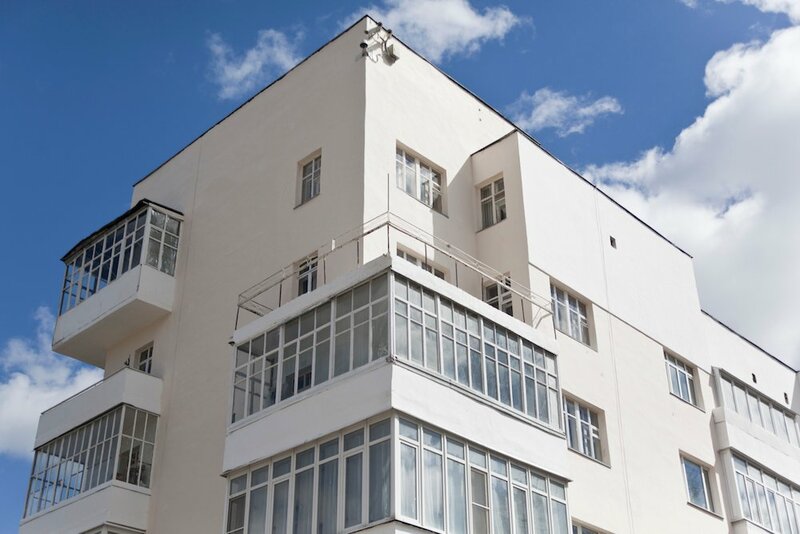 If not exactly taken for granted, the Constructivist urban fabric was normalised to an extent that seems bizarre now to enthusiastic outsiders. It is only in recent years that this has changed, and the strange notion of “Brand Constructivism” has emerged. However, the transformation of Constructivism into a viable branding opportunity for Yekaterinburg did not magically solve the thorny issues of preservation or development. Far from it, as Moskvin explains. 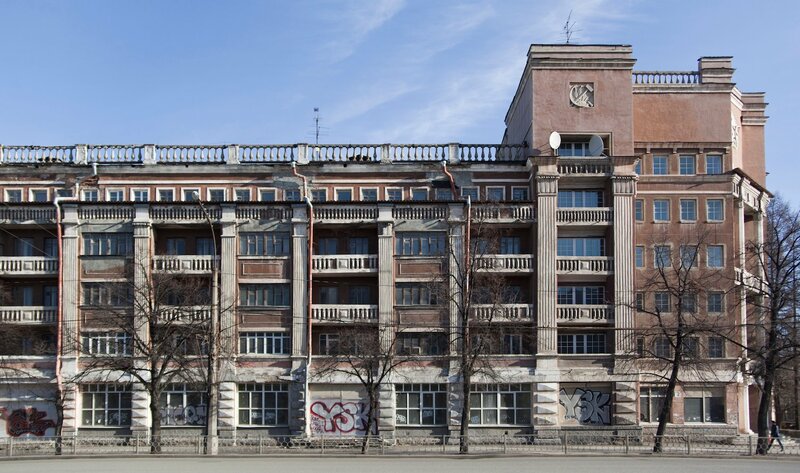 “The situation is this: the interest in Constructivism is colossal but to this day we can’t point to a single successful instance of renovation of a Constructivist building in the city.” One issue is the physical condition of the buildings in question. The architectural avant-garde might have imagined a forthright, dazzling future, but the materials they had to hand spoke to a very different historical reality. “Almost all these buildings were built with very poor materials, at a time when the Soviet government had no money,” Moskvin says. “Architects wanted to build everything of concrete but they ended up using wood, bricks, parts of old buildings.” As a result, the buildings deteriorate more rapidly and require more painstaking renovation in order to preserve the original structures. In order to maintain the local brand, some activists now even argue that it might be best to demolish the original structures — since renovation is so tricky, why not rebuild these buildings as their architects intended them, securing their survival into the bargain? For better or worse, this kind of comprehensive plan is unlikely to come to fruition. Yekaterinburg may have settled on Constructivism as its post-Soviet brand, but that hasn’t translated into a clear strategy of conservation or promotion from the local government. Until recently, Yekaterinburg had an independently-elected mayor and made its own decisions on development separately from the rest of the oblast, or region. Now the deputy governor of the oblast is in charge of city affairs, but that hasn’t produced more joined-up thinking; as Moskvin points out, “bureaucrats” are not the most promising candidates when it comes to architectural preservation. 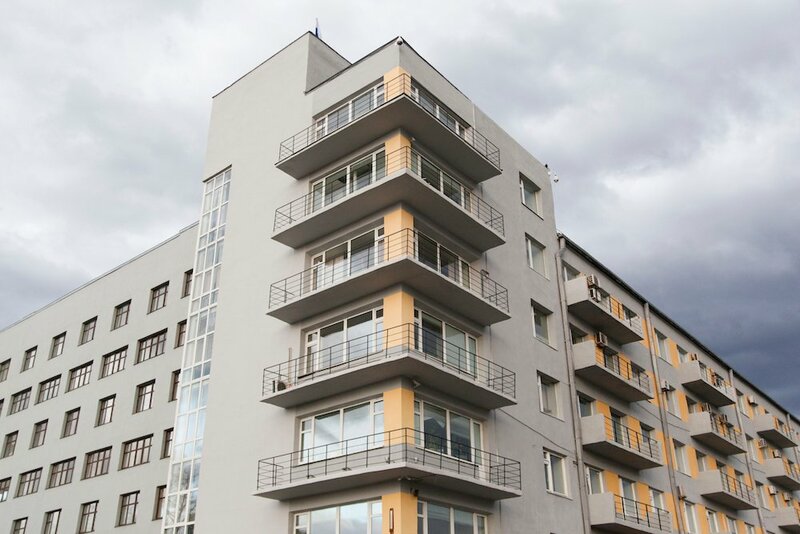 The staggering amount of construction that has been green lit in the city since the 90s — Yekaterinburg now has a third of the population but two thirds of the residential space in the oblast — is a sign of the threat from developers to the avant-garde legacy that has arisen at the same time as Brand Constructivism. However, a recent landmark case of citizen activism has demonstrated just how deeply residents care about the urban fabric of their city, in the process offering hopeful proof that the buzz around local architecture might have positive concrete outcomes. When developers pushed to build a 20-storey church in the style of Red Square’s St Basil’s on the City Pond — a lake in the centre of Yekaterinburg — a non-hierarchical volunteer group called the City Pond Committee was formed to protest the decision. After months of activism, they appear to have been successful. For the time being, at least. The Committee were driven by their affection for the panorama of the lake, which serves as the city’s calm centrepiece amidst the legacy of heavy industry; in the words of activist and former town planner Marina Sakharova, “the pond is the place where the town was born.” The proposed church would also, coincidentally, have been placed directly in front of the Dinamo Sports Complex, a beautiful, low stadium that is one of Yekaterinburg’s finest examples of Constructivism. “There were residents were from all over town. It turned out that the Pond was a central part of residents’ identity,” concludes Moskvin. Yekaterinburg may have proved, in the short term if nothing else, that an architectural ensemble can motivate citizens into action. Brand Constructivism offers the city the opportunity to work out in real time how to handle a complex built heritage.